Don't Miss This Phenomenal One Bedroom With Garage Parking In The Fabulous One First Building! The Unit Features Cherry Wood Floors, Cherry Cabinets, Stainless Steel Appliances, Granite Countertops, High Ceilings, In-Unit Laundry And One Garage Parking Spot. Unit Has Been Freshly Painted White. The Building Includes Amenities Such As 24/7 Concierge, Fitness Room, A Library/Function Room, A Spacious Common Roofdeck. Conveniently Located Across From The Lechmere T Stop With Easy Access To Kendall Square, CambridgeSide Galleria, And Downtown Boston. A fabulous two BR/ two baths condominium/apartment located in the newer full service condominium complex ONE FIRST. Some of the many features of this special apartment are: high ceilings, large picture windows with views of the luscious courtyard, gleaming cherry wood floors, a kitchen with cherry wood cabinets, stainless steel appliances and granite counters, master bedroom with walk-in closet, large armoir and garage parking. The exposure is East and West. 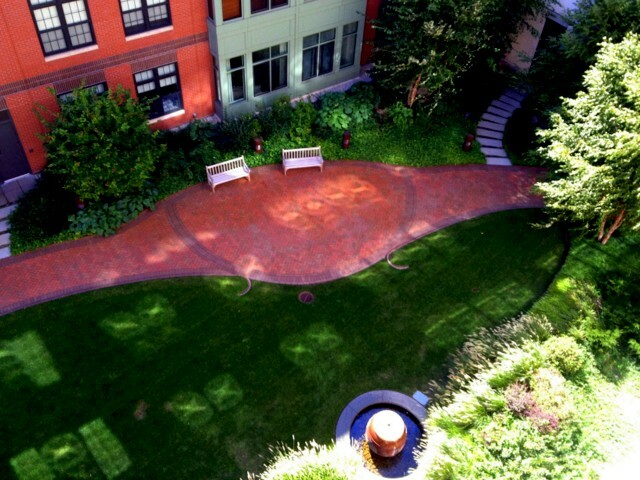 ONE FIRST offers 24/7 concierge service, a fitness room and a luscious courtyard for reading or e-mailing. A large and inviting common roof deck with views or the Boston skyline makes it easy to spend time outside and is only short elevator ride away from the unit., An elegant, but comfortable library/community room, which is Wi-Fi invites to work, to watch something on the big screen, to relax or to reserve for a party. 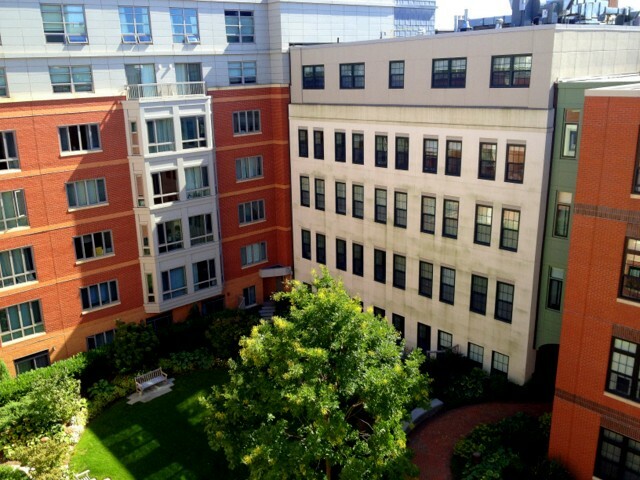 Living in Luxury at ONE FIRST in this PENTHOUSE 2 bedrooms + 2 bathrooms condo with 1065 SF located near Lechmere train station and close proximity to downtown Boston and MGH. Building amenities: 24hr concierge, elevator, fitness room, library, courtyard, a sprawling roof deck. Unit features: open floor plan with soaring ceilings, rich cherry wood floors and central air conditioning. Relax and enjoy the view from large windows overlooking luscious landscaped court yard. Stunning kitchen with cherry cabinets, sleek granite countertops and stainless steel appliances. In unit laundry and garage parking included. Sorry no pets, no smoking and no students. Available now but flexible move in date.